Today's suit and shirt are the same as Sunday's. 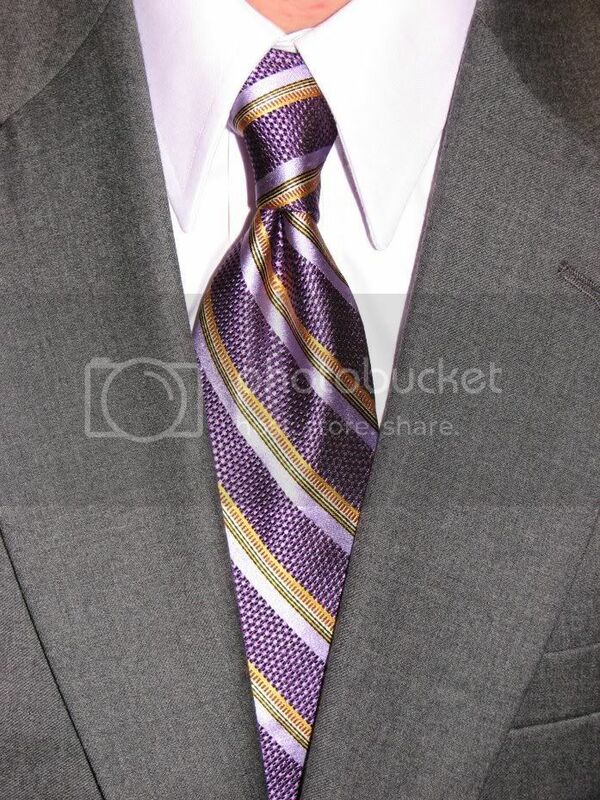 The necktie is quite a bit different and illustrates yet again what a difference a tie can make for a conglomeration. It is another Jos A Bank tie -- regular, not Signature. The lavender stripe picks up the color of the dress shirt really well. The orange stripes add a little contrast for some interest.The purple/lavender basket weave stripes add some interest in texture.